2. Burnette, Johnny Let Me Be With You [unissued] uniss. 3. Burnette, Johnny That's The Way I Feel [unissued] uniss. 4. Burnette, Johnny You'll Learn To Cry [unissued] uniss. 5. Burnette, Johnny It's My Way [unissued] uniss. 7. Burnette, Johnny It's The After [unissued] uniss. 10. 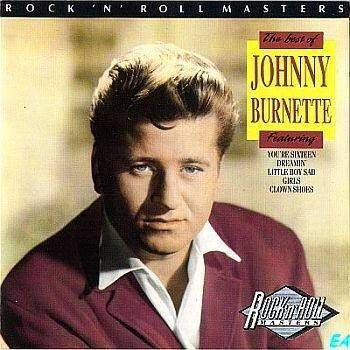 Burnette, Johnny A Lover's Question [unissued] uniss. 11. Burnette, Johnny Fools Like Me Liberty (Calif.) F-55377 1961/Oct. 12. Burnette, Johnny Second Chance [unissued] uniss. 14. Burnette, Johnny Standing On The Outside Of Her Door [unissued] uniss. 15. Burnette, Johnny Gimme Gimme Lovin' [unissued] uniss. 18. Burnette, Johnny Some Enchanted Evening [unissued] uniss.